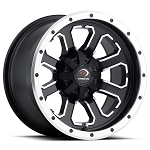 - ITP's popular, proven A6 series of spun aluminum wheels has been expanded with the introduction of the all-new Pro Mod line for Utility ATVs. 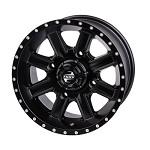 - Highlights of the ITP Pro Mod include a head-turning polished finish, a double-rolled lip for excellent durability and ease of tire mounting, rugged yet lightweight .190 wall construction and the rigorous QS 9000 quality certification. - What sets the Pro Mod apart from the rest of the Pro Mod line is its classic off-road modular style and an angled outer wheel face. 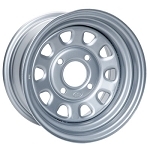 This unique design adds considerable strength to the wheel center without a weight penalty. 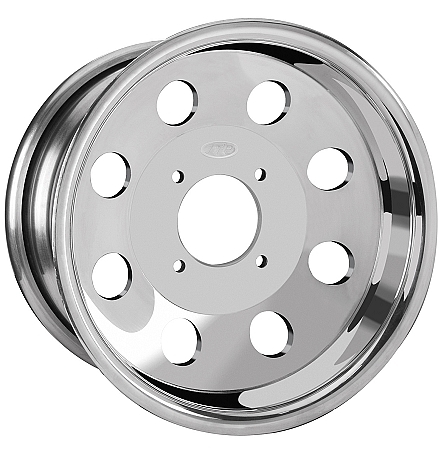 - Lug nuts included with each wheel purchase, (no center caps available for this style of rim). Q: Hi what is the center hole diameter? What bolt pattern is the rim offered in? Q: Does this come in a front and back rim I need one of each , think the front has a 2 in offset and the back a 5 in is this right ? A: They don't offer this rim in a 2+5 offset. they only offer it in 4+3 which can be used on the front and back of an Independent Rear Suspension Model. Q: hi, may i know what the offset? thanks in advance. Q: Do you have this wheel in mat black finish ? A: No we don't. The closest rims we have to these in black is the STI HD Beadlocks.